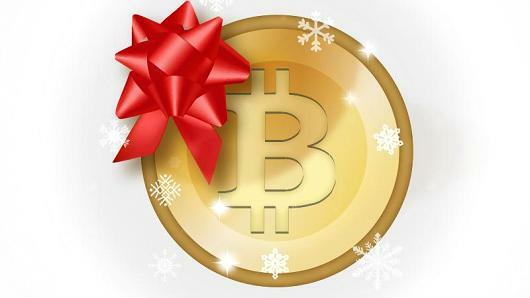 If you thought Bitcoin Black Friday was big in 2013, this year’s online event will probably blow your mind. About 1,200 merchants will be part of the next Bitcoin Black Friday, hosted by the site BitcoinBlackFriday.com, where all the sales will be listed. Although the event was only created two years ago, it quickly went from only 50 to 1,200 merchants. And, according to the event’s founder, there are surprises waiting for the buyers on 28th November. “We have two things planned. First is the ability to instantly purchase Bitcoin with your credit card: a small amount, like $25 worth. For most people, that’s not too much of a risk. And we’re also going to have a section [of the site]where you can purchase something for a small amount of money”, Jon Holmquist told the CNBC. Besides, this year Holmquist won’t be alone. The founder announced that in 2014 the event will be managed by a small team, due to the amazing increase of buyers. The payment processor BitPay revealed that last year’s Bitcoin Black Friday garnered over 100,000 visitors, who spent close to $6 million in BTC. Given the constant growth over the last two years, the forecast for the 2014 event is significantly higher, especially now that more mainstream retailers like Newegg and Overstock have joined the Bitcoin ecosystem. Actually, Newegg is one of the merchants that will be part of this year’s Bitcoin Black Friday, along with other well-known names such as Amagi Metails, Gyft or NameCheap. And, according to Holmquist, the real number of merchants might exceed the estimated 1,200. Since the listing is free for any company that accepts Bitcoin as a payment option, the number might grow until Friday. The big problem for us is that most merchants don’t want to plan ahead. It’s a lot of smaller merchants, so they put it off until the day of or the day before. Overstock is one of the companies that won’t join the event. Well, at least not via BitcoinBlackFriday.com. A company’s spokesperson said Overstock’s Black Friday deals will be available on the retailer’s own site. The good news is that you can still pay with digital currency.